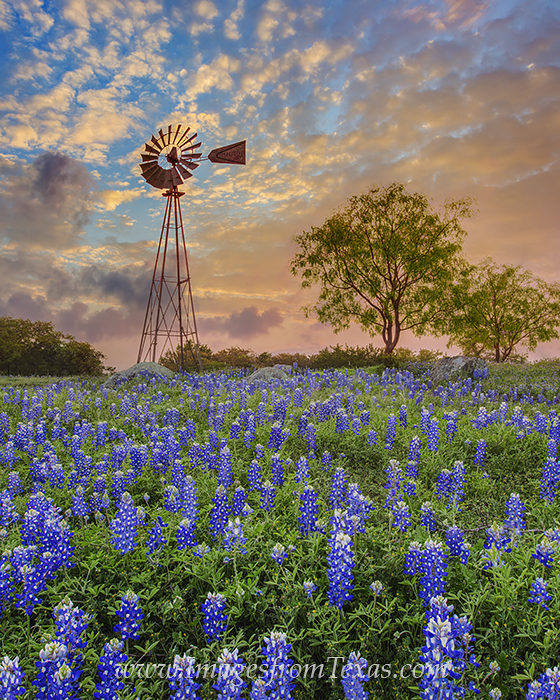 The Hill Country was shrouded in fog when I left my house to photograph these bluebonnets beneath a windmill. But luck and patience paid off when the clouds broke just enough to allow the morning sunlight to filter in and color the sky with orange and blue. Photo © copyright by Rob Greebon.